It’s a term we’ve been using a lot around here at Friends. Contrary to its witty name, a hotspot on the river is undesirable. It’s an area where debris and litter tend to collect. 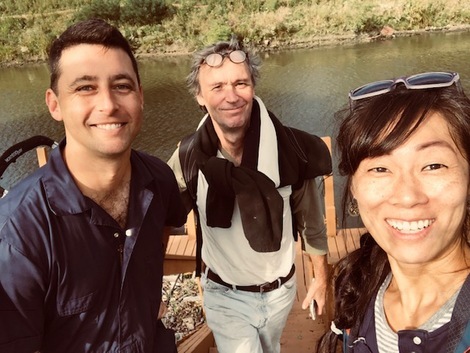 Friends’ staff has spent this past fall hotspotting a ten-mile stretch from the North Shore Channel to the North Avenue Bridge at the perimeter of the Goose Island Basin. 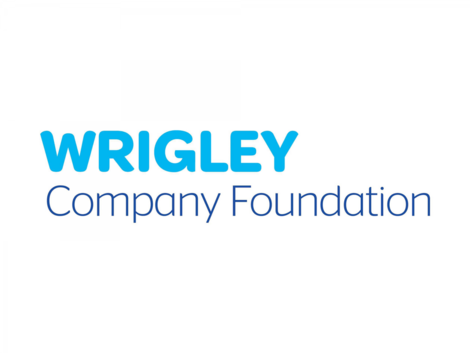 As part of the #LoseTheLitter project funded by the Wrigley Company Foundation, we began this litter hotspotting initiative to collect detailed information about the movements and types of litter that pollute the Chicago River system. Such litter mapping will help Friends combat litter in strategic ways. We'll know more about the source of litter and pinpoint locations where it gathers. The information will support the implementation of best-practice litter prevention projects using our Litter Free Toolkit. We aim to expand partnerships to increase litter prevention projects. One goal is to get more people to dispose of litter properly and stop polluting. Hotspots are oddly consistent; we found them in the same spots even over a period of a few weeks. Litter we found was mainly floatables such as wrappers, plastic bags, disposable packaging, and bottles. More than 22 million plastic water bottles are thrown away annually in the United States. Almost half of the litter in the U.S. is food packaging, according to EcoWatch. Hotspots occur where people are--near parks and public areas. That means it’s on us to make sure we put trash where it belongs so it doesn’t end up in the river. 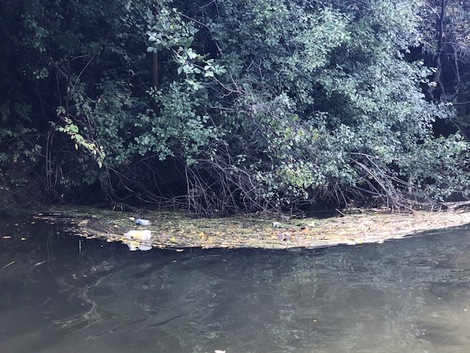 The North Shore Channel hotspots are commonly found where overgrown trees reach into the waterway and trap trash in lowhanging branches. 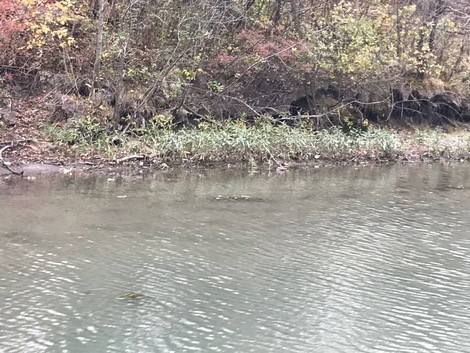 The North Branch is a mixed bag. Hotspots occur in construction zones, under bridges. Natural eddies collect trash based on flow. 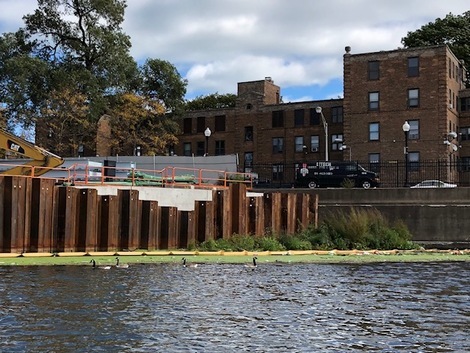 Volunteers with Friends of the Chicago River and Shedd Aquarium have installed hundreds of plant plugs along the North Shore Channel in an effort aimed at improving fish habitat, combating riverbank erosion and beautifying the waterway. Lizard’s tail plants, a native perennial noted for its tiny and fragrant flowers that droop tail-like atop slender stalks, are fast-growing and hardy and thrive in moist and shady areas. The Lizard's tails and water willows are doing quite well on the North Shore Channel, as seen in the photo above. Friends is always looking for partners to combat trash. Contact Joanne So Young Dill at jdill@chicagoriver.org for more information. Kayak Chicago – Zipping in the zodiac on the North Branch. Matt Roben, left, piloted his pontoon for our hotspotting effort on the North Shore Channel. Thanks, too, to Friends member Matt Binns, center, and Friends Director of Strategic Initiatives Joanne So Young Dill. Chicago Water Taxi for transportation to North Avenue.